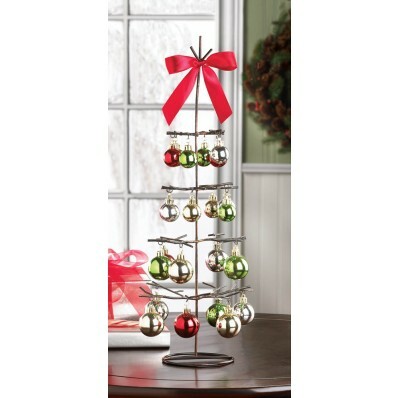 Make your holiday merrier with this cheery tabletop decoration. Weight: 0.6 lb. 6¾" x 6½" 20¼" high. Metal and plastic ornaments.